Rebekah Wilbur is a wife and busy mother of two children, Esme and Teddy. Originally from Staffordshire, England, Rebekah relocated to the US in 2009 after her marriage to start a new life abroad. It was during this time that Rebekah began her journey into cake decorating; making cakes for her new family and friends. After making her daughter’s first birthday cake, Rebekah decided to take the first steps to opening a cake business, and in 2011 “Cakelicious” was born. Rebekah re-branded the business to Rebekah Naomi Cake Design in 2013 and has never looked back. Rebekah now creates incredible custom wedding cakes out of her home in Virginia. Outside of the kitchen, Rebekah loves to write and blog about cake matters. 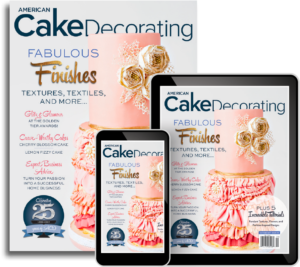 As the Managing Editor of American Cake Decorating magazine she enjoys connecting with members of the cake community to share their unique talents. With a background in both business management and the arts, the position is a “perfect fit”. Rebekah also dedicates her free time to teaching live cake decorating classes, demonstrating at cake shows, and creating online tutorials for her designs. With an instantly recognizable style, Rebekah’s work has been featured in many notable bridal publications and blogs; Rebekah has been a contributing writer for Bridal Guide Magazine, Catalyst Wedding, and Premier Bride. 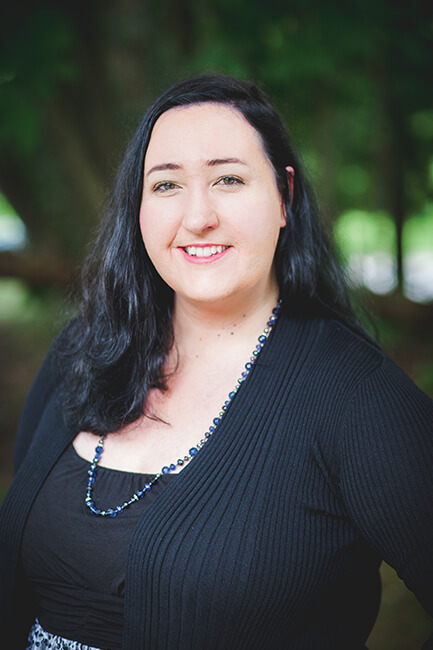 She is currently a partner to DIY wedding magazine, and a contributing editor for Say I Do.